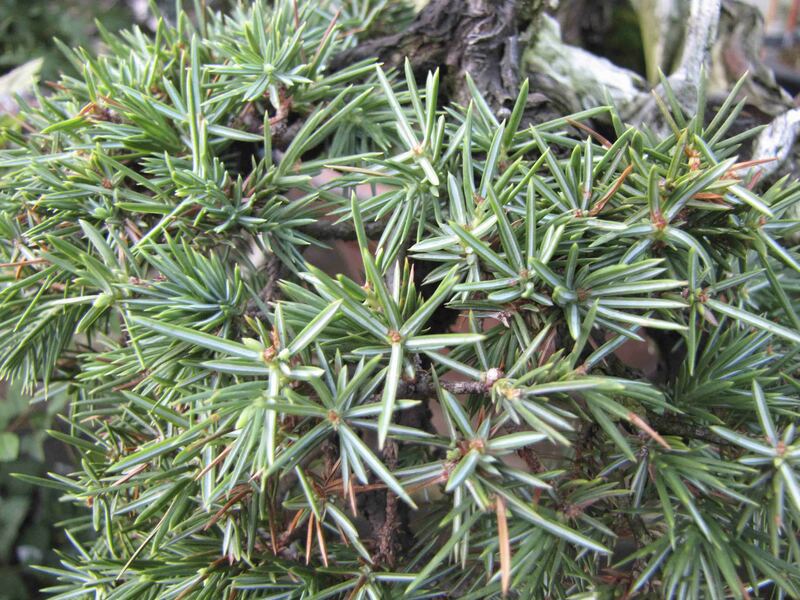 This month, I’ve been working on a lot of Needle Junipers (Tosho). Work has ranged from wiring new trees to cutting back more refined trees. As I started writing this post, I realized how much information there is about Tosho so I decided to divide it into two or more post. 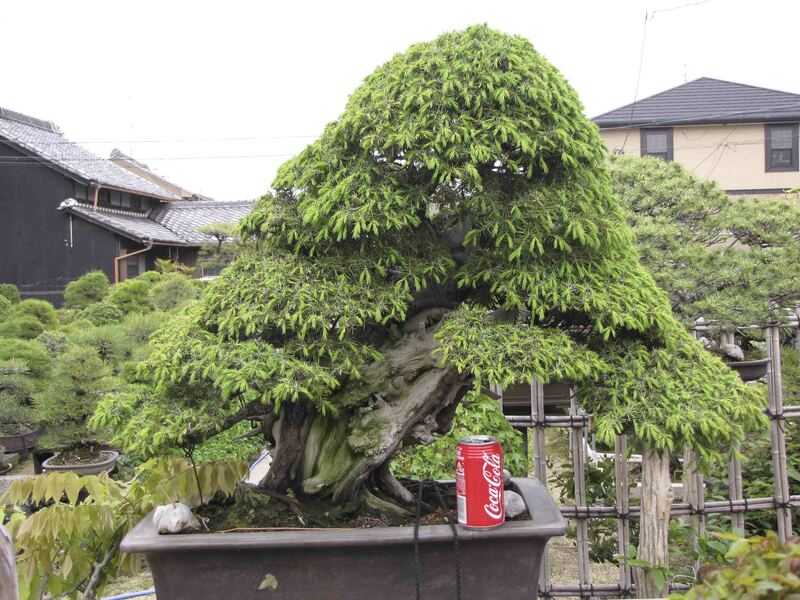 In part 1 I will mainly talk about the growth habits of Tosho and the characteristics that they have. Here we go! 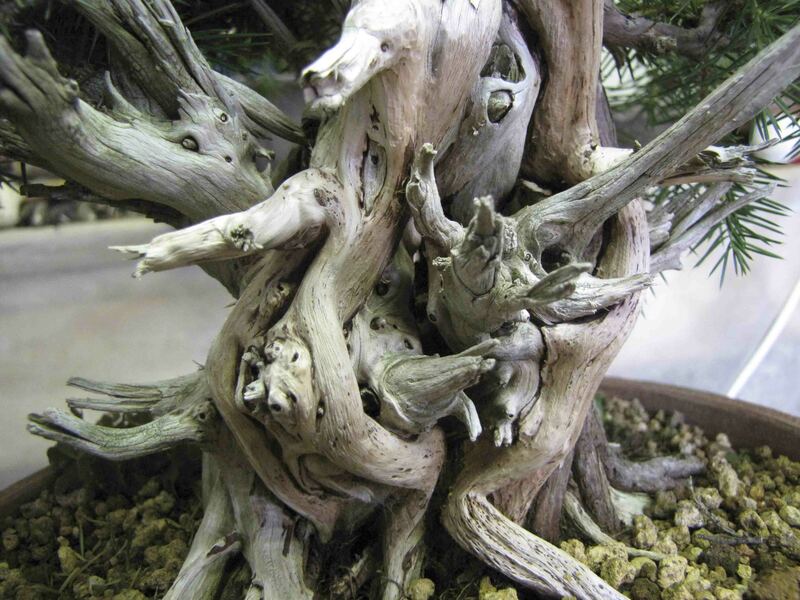 Not all needles are the same on Tosho. 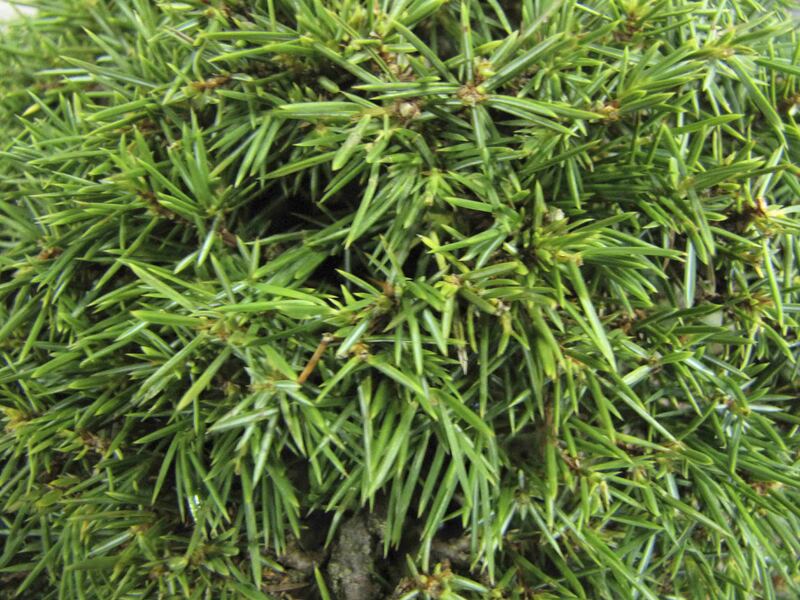 The more desirable foliage tends to have shorter needles and a more blue color. Here are some examples of different needles. Some have short or long needles and some are blue or more green. 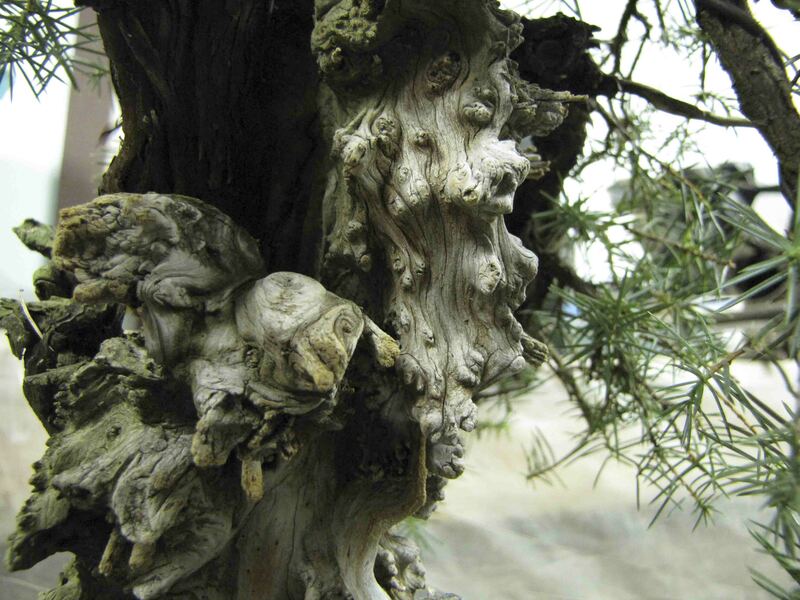 Many people always wonder if they should peel the bark off of a juniper or not. People have preferences to one or the other. 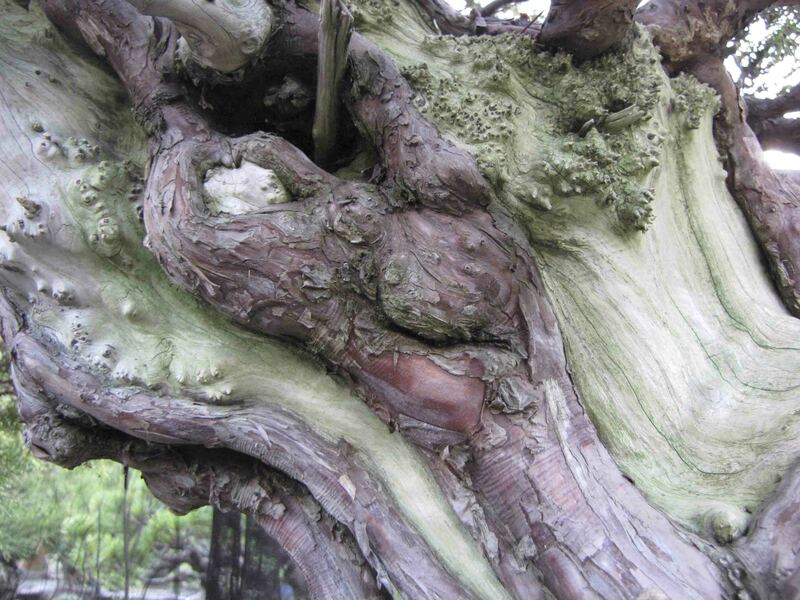 Here at Aichien, we will keep the bark if it’s a more brown color and we’ll peel the bark if the lifeline has a reddish color. Here are some examples. Tosho tend to have a very different feeling then Shimpaku. 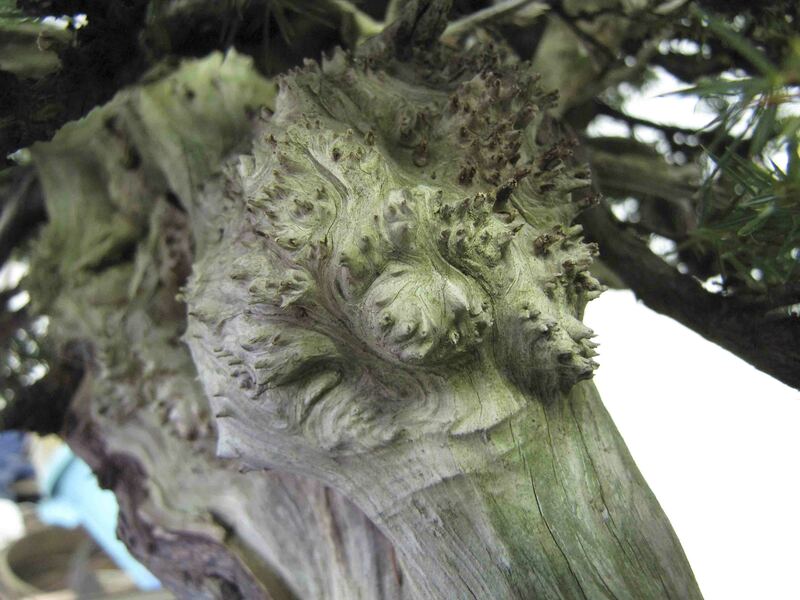 The wood is harder and tend to have more jagged jins and burrow like growths on them. Here are some examples. There are certain times of the year that you work on Tosho. May is the beginning of Tosho season. In May, you can cut, wire and repot all at the same time. 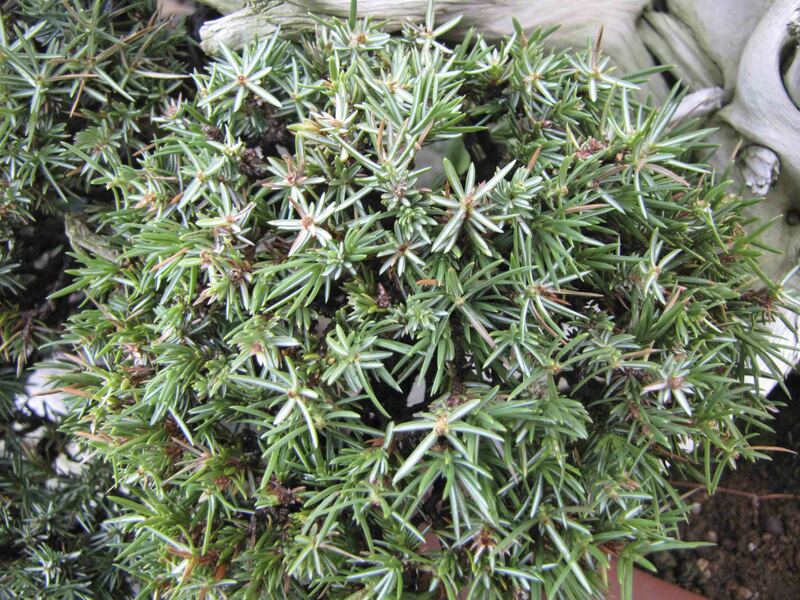 Tosho can be repotted earlier in the Spring also. Tosho should not be repotted in the Fall. During the Summer, they will grow quickly and cutting and pinching can be done two to three times a year. Once you’re in the middle of summer, if you cut the tree or pinch it, be sure to protect it under shade cloth for about two weeks. If the tree isn’t protected, the interior foliage can burn and die off. Once Fall arrives and the tree starts to slow down, there isn’t much work to be done and the tree will sit till the following Spring. Watering Tosho is fairly easy because they love water. 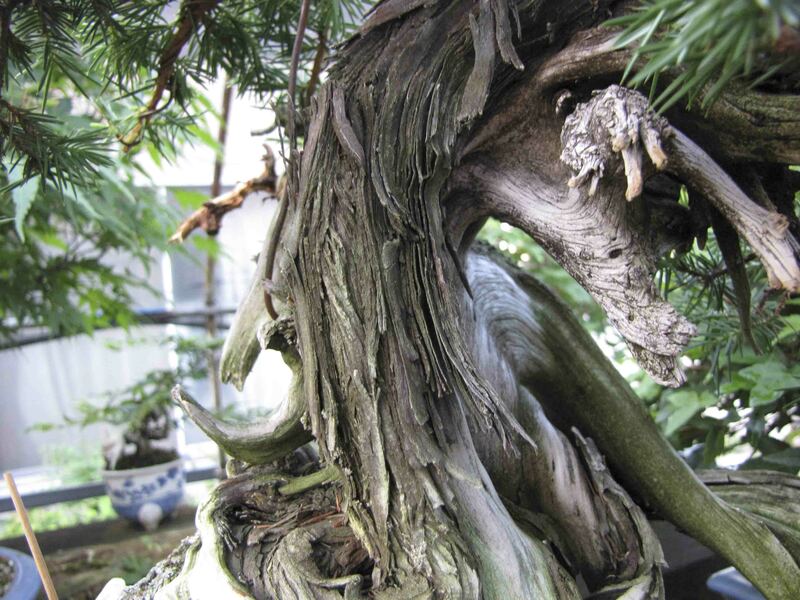 When we water at Aichien, if the conifers are not dry, we will hold back the water and allow them to dry out. This in turn will increase root growth. For Tosho, even if the soil is damp, we water them anyways. So far, I’ve seen no ill effects of heavy watering on Tosho. The roots grow well and the foliage grows well. In Part 2, I’ll talk about how to cut, develop pads and show some before and after pictures. I like the new blog and have subscribed to your RSS feed so i can keep an eye out for future posts. I was just about to write you about missing blog updated…that is I missed them. Please keep sending us the helpful information.